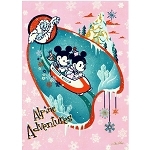 Embark on a grand adventure to the Expedition Everest Attraction in this Gold Card Limited Edition pin collection. 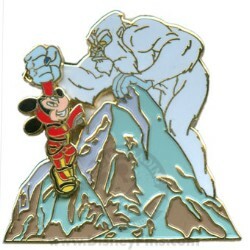 In this pin, Mickey climbs the Forbidden Mountain and gets a close encounter with the yeti. 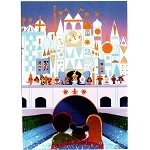 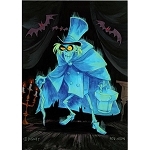 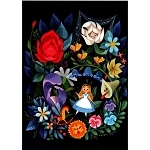 Mike Sullivan of Disney Design Group created the original artwork for this pin.